Himlung Himal lies to the northeast of Annapurna Range with a wannabe height of 7,126m.This Mountain lies in a secluded area of Nepal borders with Tibet. The hemline is quite easier considering technicalities. Journey to Himlung Himal follows the round Annapurna trekking route to Koto and from Koto to Na-Phu Gaun valley. The track from Naphu Gaun to Manang is recently opened and this track offers great deals of tall peaks and passes; also you get greeted by glaciers, gullies, springs and remote villages nearby exhibit tremendous culture with breathtaking views of Api Hima, Kappa Chuli Peak, Nandadevi, and many more. 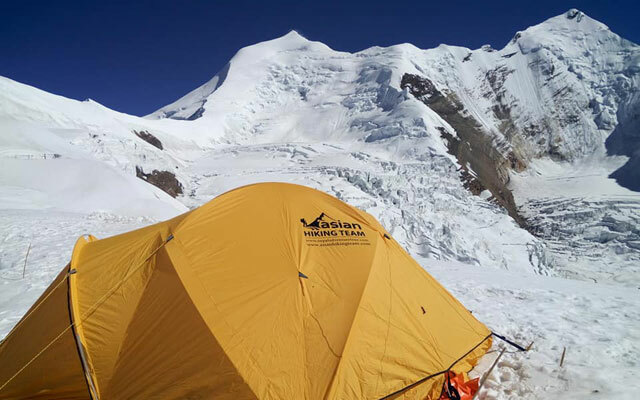 Base camp of Himlung Himal or Hemlung is seated at the height of 4920m. 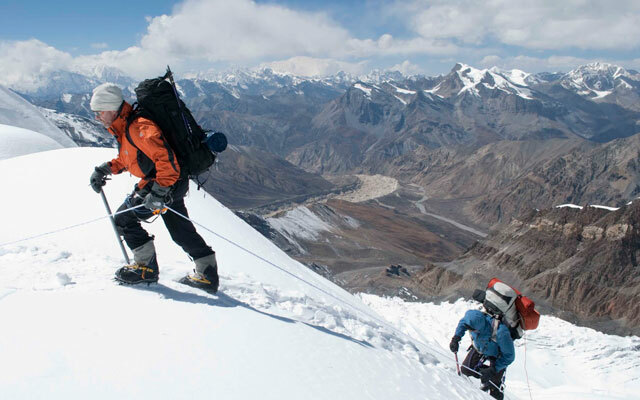 There are three higher camps are established on the heights of 5,450m, 6,000m and 6,350m respectively. The last part of the pinnacle includes steep and icy way. Generally it takes ten to fifteen days to conquer Himlung Himal climbing and back to the base camp. Nemjung or Himlung Himal was first climbed via the east ridge on October 27, 1983 by a Joint expedition from Nepal and the Hirosaki University Alpine Club led by Junji Kurotaki. 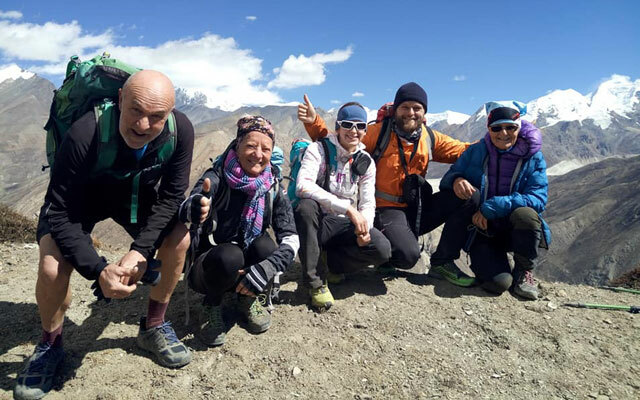 Previous attempts had been made in 1963 by a Japanese expedition from the Den Den Kyushu Alpine Club led by Hisachika Zengyou; in 1994 by a British expedition; and in 2009 by a French team. On October 30, 2009 a Japanese team led by climber Osamu Tanabe submitted Nemjung via its previously unclimbed west face and the west ridge. Day 01: Arrivals in Kathmandu transfer to hotel (BB). Day 02: Final preparation and officaial briefing day (BB). Day 03: Drive to Besishahar (850m), 5-6 hours, overnight Hotel (B/L/D). Day 04: Drive from Besi Sahar to Koto (2610m), 7-8 hours, overnight Lodge (B/L/D). Day 05: Trek from Koto to Dharamsala (3200m), 5-6 hours, overnight Lodge (B/L/D). Day 06: Trek from Dharmasala to Kyang (3820m), 4/5 hours, overnight at Lodge (B/L/D). Day 07: Trek from Kyang to Phu village (4080m), 4/5 hours, overnight at Lodge (B/L/D). 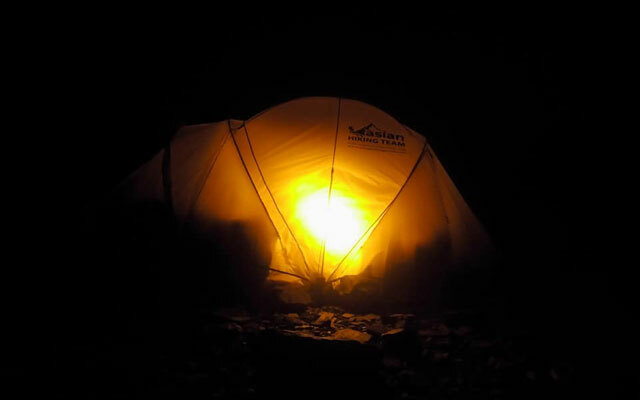 Day 08: Trek Phu-Gaon to Himlung Base camp (4920m), 4-6 hours, overnight at camping (B/L/D). Day 26: Preparation, packing and ready to return, overnight camp (B/L/D). Day 27: Trek back from Base Camp to Phu-Gaon, overnight at Lodge (B/L/D). 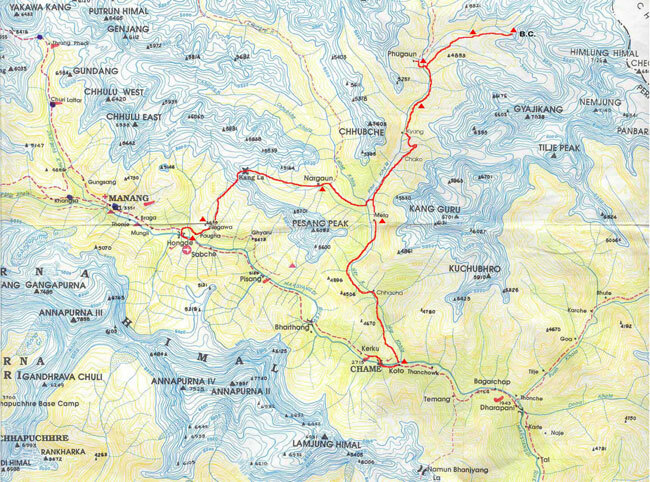 Day 28: Trek from Phu-Gaon to Dharamsala, overnight at Lodge (B/L/D). Day 29: Trek from Dharamsala to Koto, Overnight at Lodge (B/L/D). Day 30: Drive from Koto to Besishahar, overnight at hotel (B/L/D). Day 31: Drive from Besi sahar to Kathmandu (BB). Day 32: leisure day in Kathmandu, overnight hotel (BB). Day 33: End of Trip, departure to airport or next trip. 3 Start Hotel in Kathmandu on BB Plan as per itinerary. 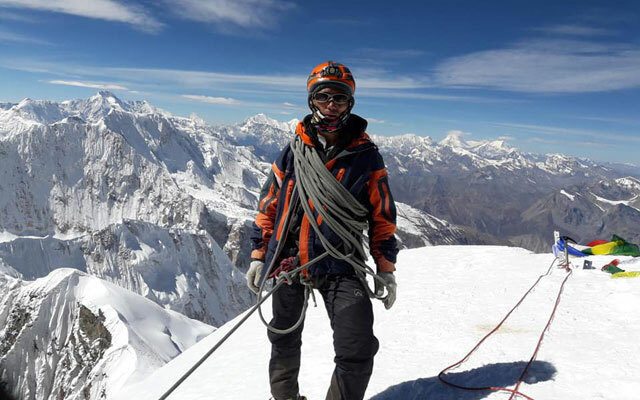 Experienced climbing Sherpa guide during trek and climb (Summiteers). Annapurna Conservation area project entry fee. Lunch and Dinner during your stay in Kathmandu and duing the trekking Lodge/Hotel (except for the farewell dinner).